The ultimatum was given by human rights advocacy group, Save Humanity Advocacy Centre for allegedly fuelling the survival of Boko Haram terrorists in Nigeria through what it described as undermining of the country’s security agencies through negative reports and emboldening the terror group, Vanguard reports. While addressing a press conference in Abuja on Sunday, the Executive Secretary of the group, Comrade Ibrahim Abubakar said despite the widely circulated videos of Boko Haram atrocities in Nigeria, Amnesty International has not condemned it or deemed it necessary to show any iota of sympathy, implying the citizens of our country do not deserve sympathy in their reckoning. According to him, the international organization has instead always emboldened the terror group by portraying the Nigerian security agencies as the aggressors. 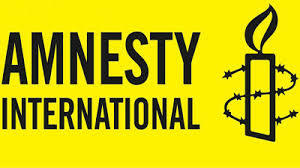 The group which said Nigerians have had enough of their “absurdity and evil machinations” however urged the federal government to expel Amnesty International from Nigeria over its repeated attempts to undermine Nigeria’s security. He said, “To this end, we are opening a register of protests in our office to collect the signatures of Nigerians, who are resentful to the destructive activities of Amnesty International as well as their dubious reports of hate and espionage on Nigerian soil. He said the latest report of Amnesty International which alleged human rights violations against the Nigerian military and other arms of security agencies in combating acts of terrorism, separatism and extremism in the country is another indication of the organization’s continued quest to undermine Nigeria’s security. He said, “we are worried and indeed, sad to note that each time peace and normalcy is returning to these troubled parts of the country, Amnesty International, an international human rights body mindlessly punctures the essence of this peace by cooking up baseless reports that maliciously indict and disparage efforts of the Nigerian security architecture, by alleging unsubstantiated human rights violations. “We have noticed that each time Amnesty International wail for criminal gangs or terrorists in released reports, Boko Haram terrorists increase their crude and barbaric attacks, including slitting the throats of captives with knives, gain momentum and the tempo of violent insurrections also heightens in the country.